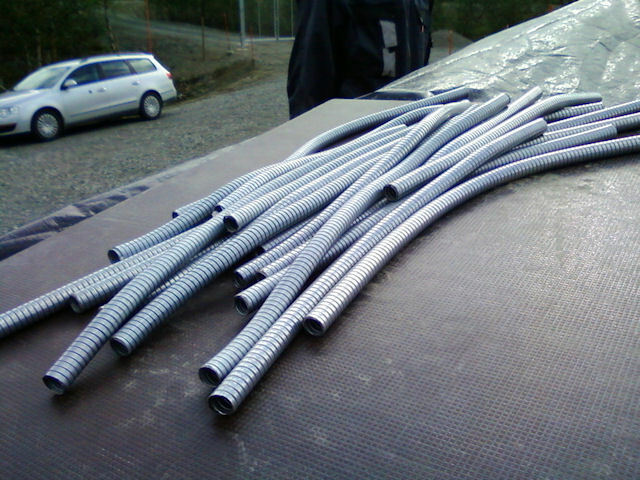 Because we were cutting existing cables, it means that half of them will be without metal armour. The armour is a short sleeve of metal that goes around the cable. In the final installation, it is located at the bottom of the LBA aerial posts, where the cable comes out the base of the post and goes into the ground. 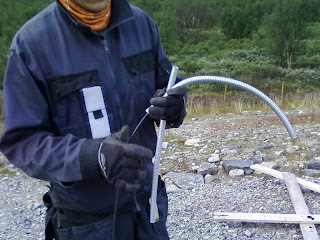 Obviously, the cable is briefly exposed at this point, and the armour prevents animals from chewing on the cable or any other form of damage from being exposed. For the extra armour, we cut short lengths of metal hose and fitted it where necessary.